Plano have been leading the way for over 30 years in strong and durable shooting luggage and this hard case features an alligator textured exterior, piano hinges which extend along its length, and an aluminium border round the opening area to reinforce the cases strength. 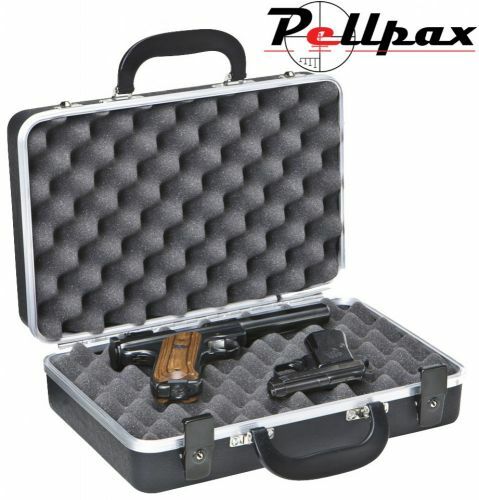 Inside the high density foam padding provides a safe environment for up to two pistols and the dual key lock latches ensure no unauthorized access will occur. Dimensions: 13.75" x 8.62" x 3.875"